The house is located in a very popular residential side of South Hill. 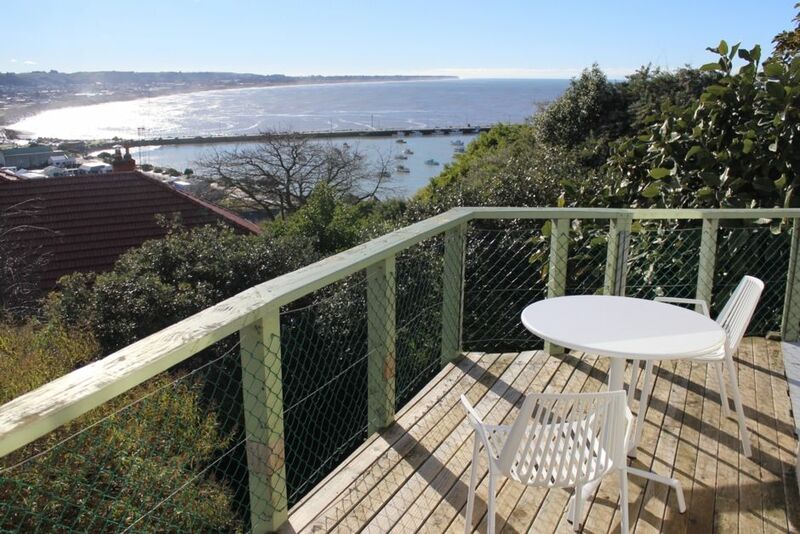 It offers spectacular views of the Oamaru Harbour and entire town. The home is well equipped with everything you need for a comfortable stay. There is a heat pump and a log burner for the cooler months. The South Hill walkway is right on your door step, and just a short stroll into town. Kakanui is only 20 minutes drive south, where you can relax, swim and surf. Moeraki is another hot spot for a day trip that is only 30 minutes drive south, You can visit the beautiful sphere shaped boulders and grab a bite to eat at Fleurs Place. 15% surcharge for Public Holiday Weekends, and Christmas/New year period. Our family of 5 stayed for one night. The accommodation was just right for us. it was comfortable, convenient and plenty of room. Enjoyed our stay, would certainly stay again. Great view, quiet and very comfortable. The owners have made great efforts to make this a very comfortable holiday stay. Everything was spot on. Add in the location and views and you have one great place to stay. Good location, very spacious and well equipped. Lovely views. Wonderful. Charming with a Great view. Very comfortable. Has an extensive garden with great potential...needs care. At the very end of a rather steep drive. The house and gardens were beautiful with a wonderful view over the town and sea. The house was immaculate and cosy. It was a short walk into the heart of Oamaru to bars and cafes. We enjoyed our short stay and we definitely recommend this place to other families.